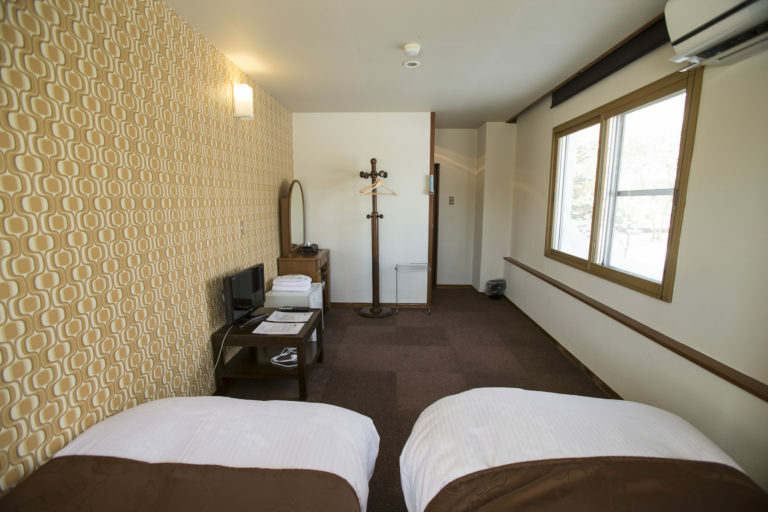 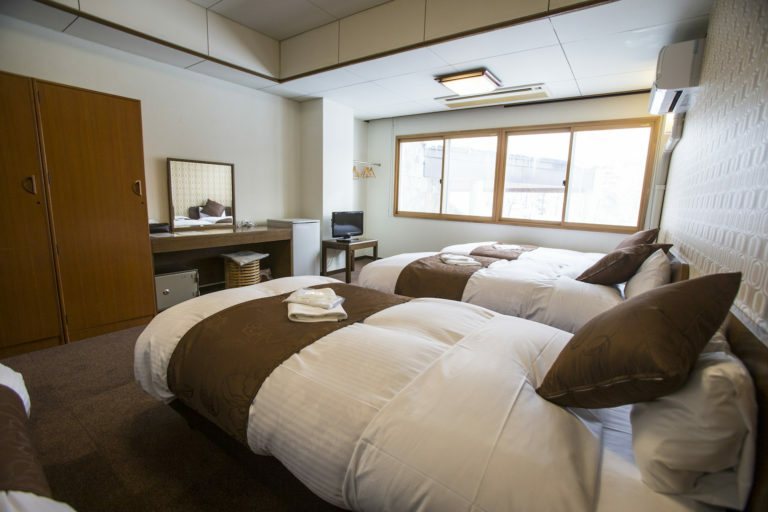 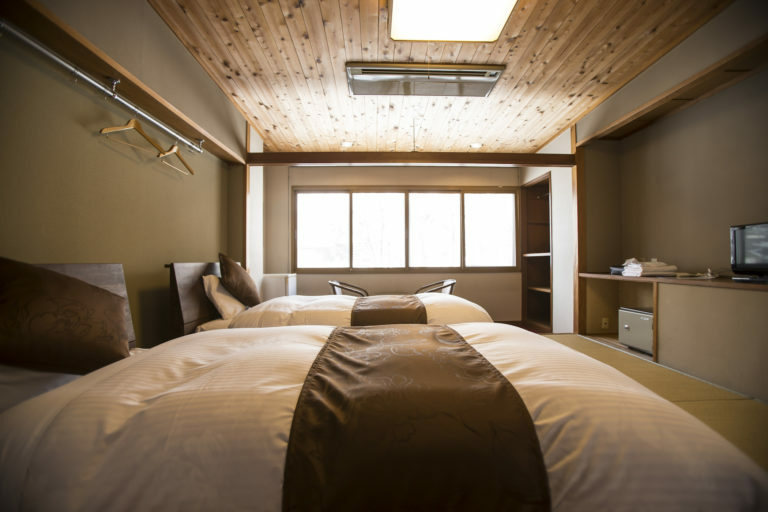 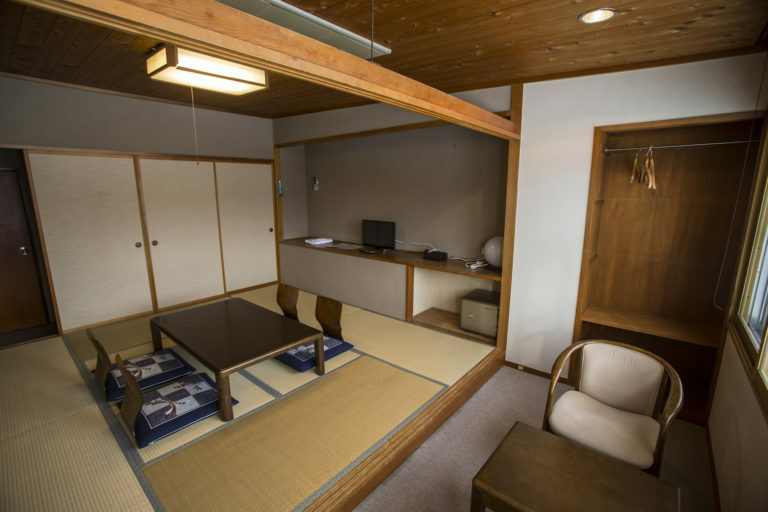 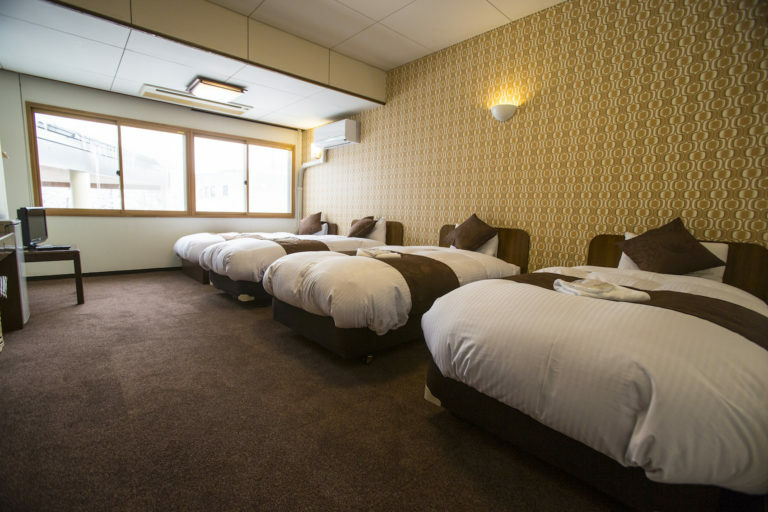 Nomad Hakuba offers six different rooms. 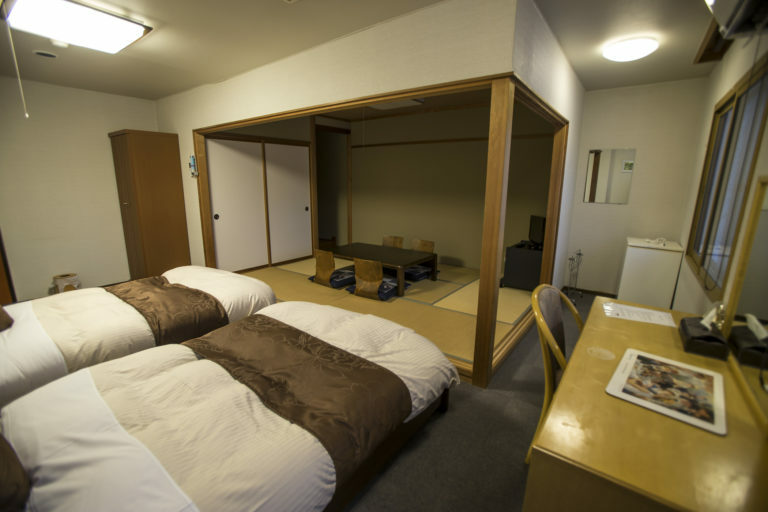 Japanese style room equipped with low beds. 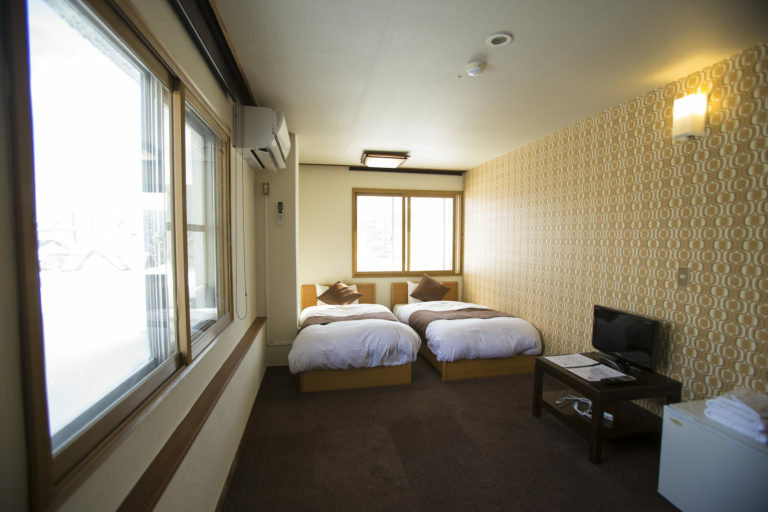 Recommended for a couple. 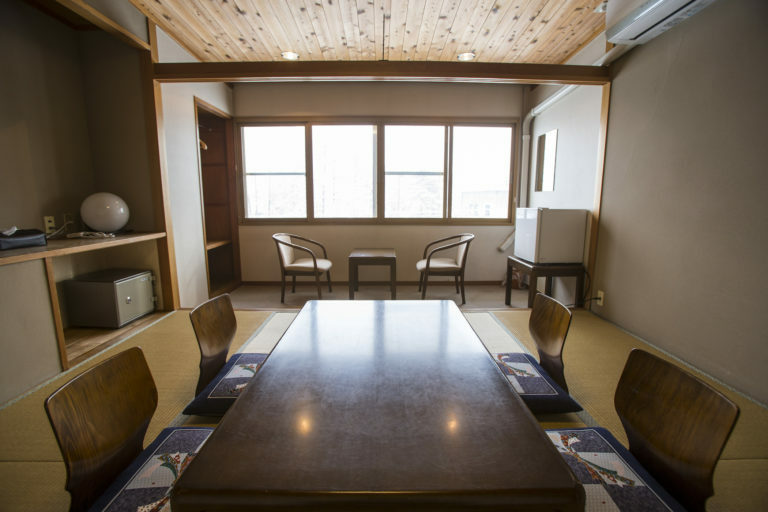 Corner room of the second floor with the best view in the hotel. 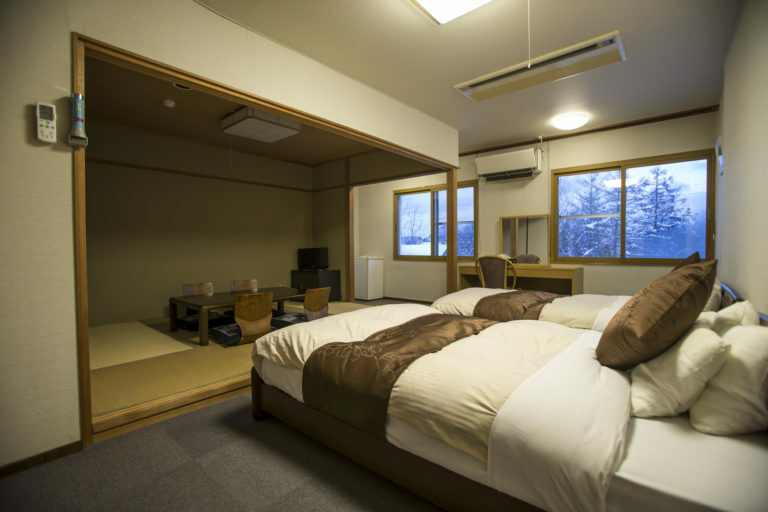 Recommended for a couple. 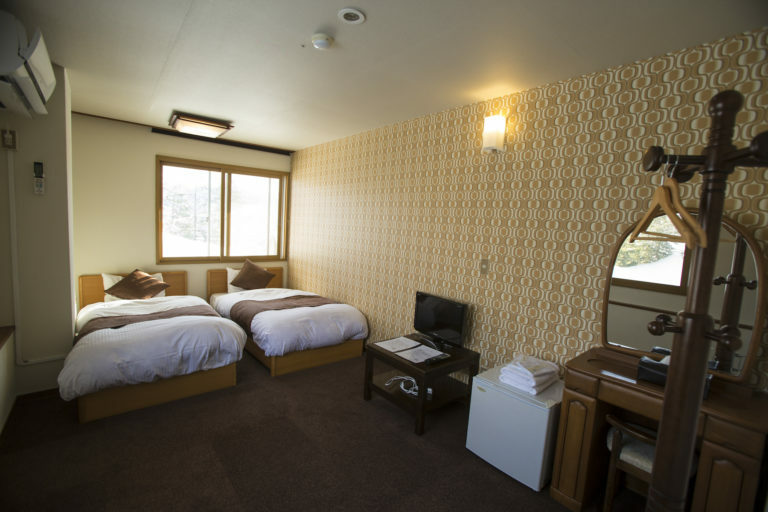 Western-style room with 4 single beds.Suitable for family and group. 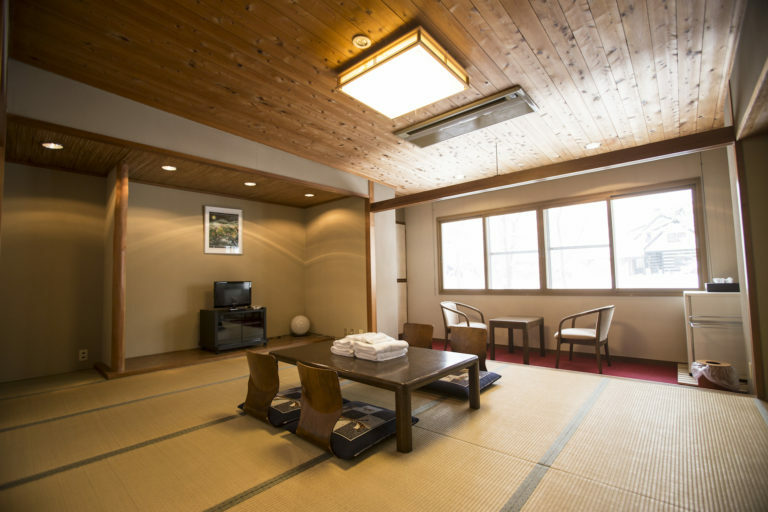 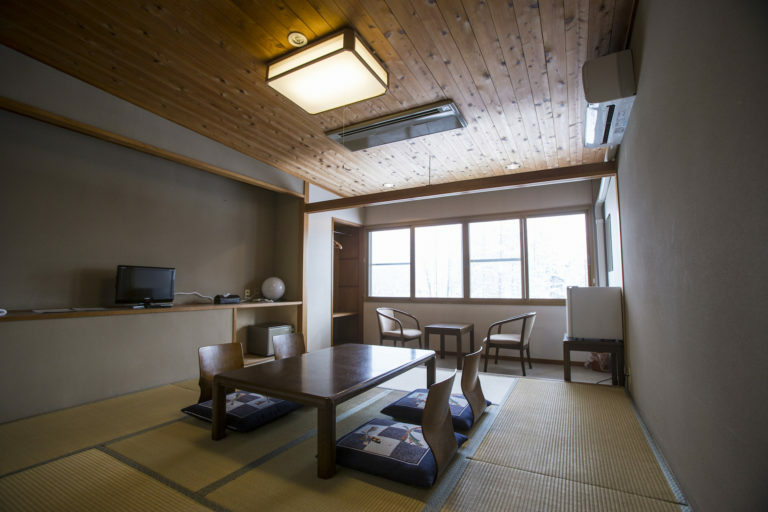 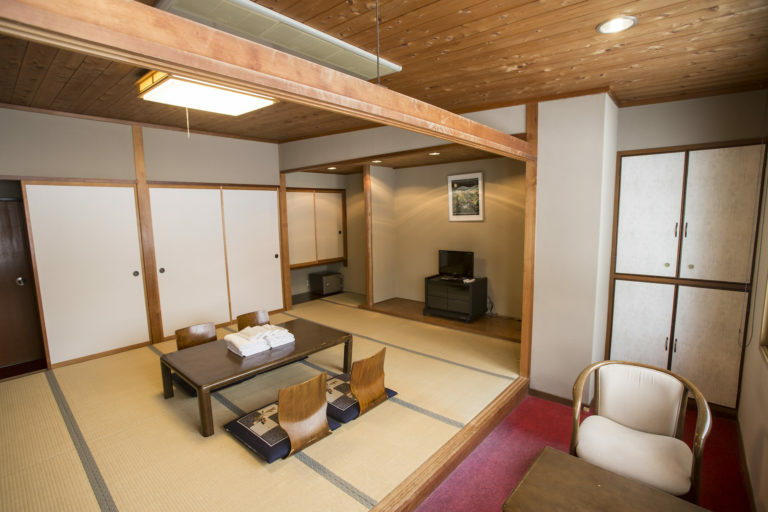 Large Japanese style tatami room. 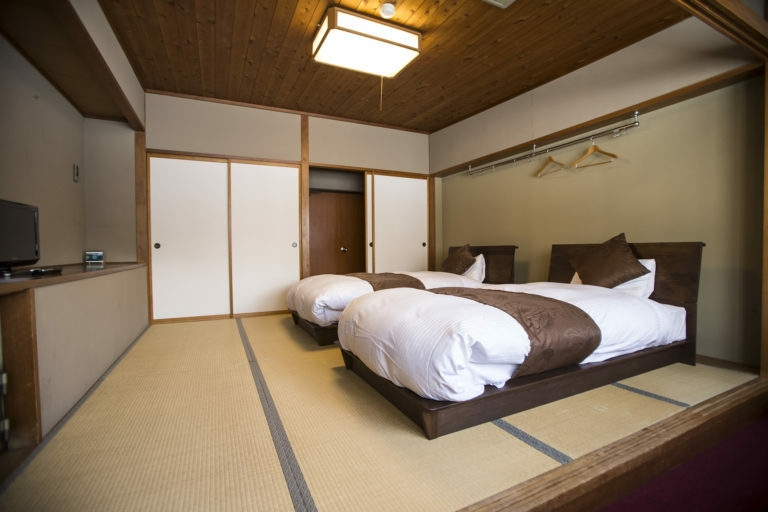 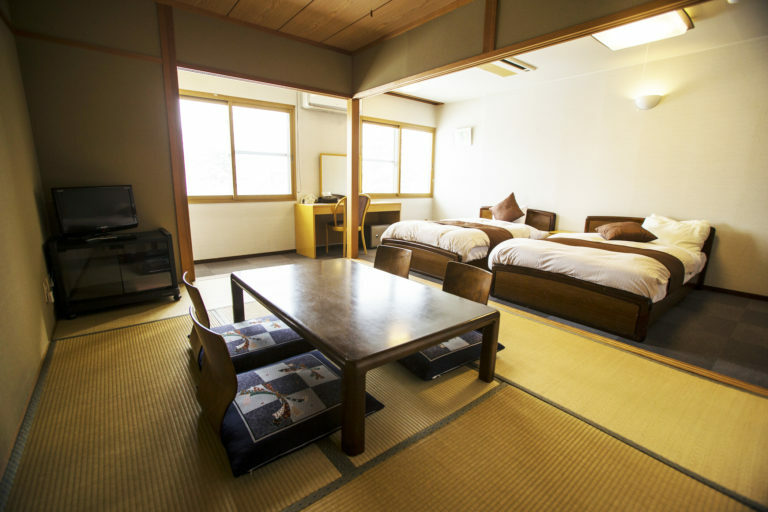 Two beds with traditional Tatami Area. 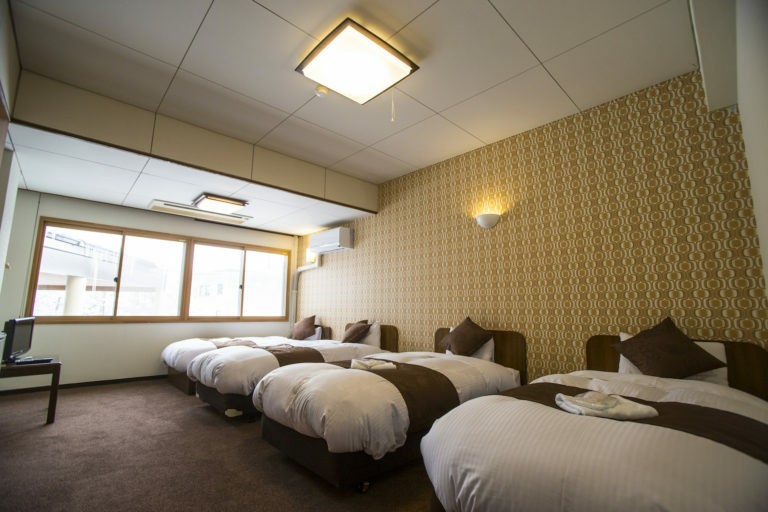 The largest room in Nomad.